Jim Marrs, Our Occulted History: Do The Global Elite Conceal Ancient Aliens? (William Morrow, 2013). The term “conspiracy theory” is much discussed and contested these days. In 2013 a number of books were released that attempted to shed new light on this increasingly contentious topic. In his well-received book, The United States of Paranoia: A Conspiracy Theory, Jesse Walker, a US-based writer, presented a “history of the things people believe, not an assessment of whether those beliefs are accurate.” As a social history of conspiracy thinking in the United States, Walker’s book is particularly informative, although its treatment of “New World Order” theories is surprisingly thin, a problem with a lot of books in this genre which seem fixated on the so-called event theories and how conspiracies are represented in popular television shows, films and fiction books. Nevertheless The United States of Paranoia contains many valuable insights into the evolution of conspiracism in the US and how some conspiracy themes have persisted over time. Walker places the appeal of conspiracy theories within the normal human ability for “finding patterns in chaos” and “constructing stories to make sense of events…” As a consequence Walker does not dismiss conspiracy theories outright, acknowledging that some conspiracies are real. The other major study of conspiracism was Professor Lance deHaven-Smith’s Conspiracy Theory in America. The primary purpose of deHaven-Smith’s book, in contrast to Walker’s observational account, is to rescue the term “conspiracy theory” from its current pejorative context and re-establish it as a core part of the “political science” of the Founders of the US, one with continuing relevance today. DeHaven-Smith also argued that the term “conspiracy theory” had been actively promoted by the CIA in wake of the assassination of JFK as a term to discredit assassination theorists. Conspiracy Theory in America also serves as yet another platform for deHaven-Smith to promote his concept of “State Crimes Against Democracy” or SCADS, to help with the identification of conspiracies by the state. Sometimes the story a conspiracy theorist tells is correct. At other times he mistakes a chicken joint for a sterilization scheme, an unusual sect for a body-snatching cult, a Mooninite for a terror plot (p.338). Of course, some suspicions go too far. The idea that lizard-like aliens from space are secretly infiltrating top positions in government and business is ludicrous (p.10). By these criteria, such “mistakes” or “ludicrous” theories are easily found. The entire corpus of David Icke, to note the most obvious example, effortlessly conforms with Walker and deHaven-Smith’s benchmarks with its wild and generally unsubstantiated stories of “lower fourth dimension”-dwelling shapeshifting reptilian hybrids, who are apparently controlling us through a network of secret societies and the Zionist movement; as well as our very perception of reality through facilities based on the Moon and Saturn. But countless other authors have also offered theories which fit this mould, among them another of 2013’s book releases, Jim Marrs’ Our Occulted History: Do The Global Elite Conceal Ancient Aliens? This is Marrs’ eighth book. He is well known for a number of titles including Crossfire: The Plot That Killed Kennedy (1989), Rule by Secrecy: The Hidden History That Connects the Trilateral Commission, the Freemasons and the Pyramids (2000), The Terror Conspiracy: Deception, 9/11, and the Loss of Liberty (2006) and The Trillion Dollar Conspiracy: How the New World Order, Man-Made Diseases and Zombie Banks are Destroying America (2010). In an interview early last year with the New York Times (Feb. 16, 2013), Marrs declared: “I don’t make wild claims that are unsubstantiated.” A close look at Our Occulted History, however, suggests that statement might be a bit “wild”. Our Occulted History works from the premise that the “idea that aliens from outer space or other dimensions may have—or may be trying to—take control of the world” (p.xi) ought to be taken more seriously. Marrs also wrote that “something nonhuman seeks to control the planet Earth and may have contributed to the advent of modern humankind” This is the “occulted” or hidden history which “can no longer be written off as a mere fable” is what Marrs seeks to expose in his book (p.xii). Marrs’ aim is a merging of so-called “cult archaeology”, particularly the so-called ancient astronaut theories that were popularised in the 1970s by writers such as Erich Von Daniken and the late Zecharia Sitchin, and recently given new life by the popular Ancient Aliens television series; with New World Order conspiracies about elite secretly plotting to establish a dictatorial world government. This pioneer of this merger of ancient astronauts with N.W.O. 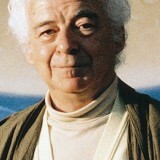 conspiracy was William Bramley, author of The Gods of Eden (1990), which took Charles Fort’s scattered musings that humanity was “owned” by aliens (which Marrs quotes), and developed the theory that the world government conspiracy was actually the product of our secret alien overlords. According to Bramley, humanity was indeed a “slave race owned by an extra-terrestrial society” (p.36), a status that had been maintained through to the present day thanks to the diabolical machinations of the secretive “Brotherhood of the Snake” (p.56). Two decades on Bramley’s book remains popular, although its considerable influence on the N.W.O. conspiracy genre goes unrecognised and often uncredited. Yet it is clear that his themes of aliens supposedly creating the human race and then using secret societies to maintain control over humanity through spiritual repression and instigating damaging wars have taken root. These themes remain strong in David Icke’s numerous books, (even if Bramley receives little credit), as well as some of Jim Marrs own titles, including this one. Yet this latest effort from Marrs, which seems to duplicate the argument and some of the content of his earlier work Rule By Secrecy (but without the weird reverse chronology) offers few, if any, new insights or discoveries. So now the word occulted may be viewed in another way—one that reveals how conventional science, and perhaps even institutions administered by the federal government or funded by the wealthy elite, have worked to conceal our possible true heritage. This book will address many of the omissions and distortions in our history books, investigating the origins of our solar system and the Earth through the advent of humankind and to our current ruling class. It will examine the history not only of our civilisation and our culture, but also the science used to examine our history and the archaeologists and anthropologists who frame the conversations about our species (p.xvii). This sets up two objectives for Our Occulted History – explaining our true history and examining how mainstream archaeology has suppressed it – yet when one actually reads this book it becomes obvious that Marrs is really only committed to presenting yet another tome linking ancient aliens to the New World Order. His claims about an elite conspiracy to ensure that true history remains “occulted” is actually subordinate to this larger goal, with allegations of suppression more of a convenient tool for validating the ever expanding ancient aliens corpus. In short, this is not a detailed analysis about how mainstream academia is purportedly marginalising ancient astronaut theorists, but rather a book that uses that allegation to avoid making a far more rigorous defence of these ancient alien claims. The first two parts of Our Occulted History, covering just over half the book, is primarily a synthesis of the various ancient astronaut theories and alleged archaeological anomalies that cast doubt on the “official” version of history. Marrs does a sterling job citing little snippets of information drawn from various sources, showing his skills as a concise summariser of other people’s work, though much of the content is drawn from the works of ancient astronaut/alternative history theorists. This is a major shortcoming of Our Occulted History. There is no attempt to really compare and contrast the findings of these ancient astronaut theorists with the findings of mainstream archaeology, as he suggested he would do in the Introduction. In last year’s New York Times profile, Marrs’ role was described as “journalistically reporting on all sides of an argument”, but in reality he does no such thing. Our Occulted History openly favours the ancient astronaut theorists, whilst continually disparaging and dismissing mainstream archaeology. This approach can be seen throughout the book. Marrs blatantly favours the ancient astronaut theorists, quoting uncritically their claims their discoveries are self-evident truths. This includes Philip Coppens’ assertion that on the question of ancient alien contacts, “When we look at reality the way it is”, as opposed to science’s “reduced framework”, it “becomes clear there is only one answer. Were we alone? No.” (p.xiv). As well as Zecharia Sitchin’s argument that the Sumerian Creation Epic – as translated by him – should be taken “at face value” (p.8). Paul Von Ward, author of We Have Never Been Alone, is quoted insisting that when it comes to stories about visits by “Advanced Beings”, “no responsible student of the human past and present can dismiss it in good conscience” (p.xv). Also presented without comment is Ward’s more outrageous assertion that “[u]ntil we have proven their claims as false”, the alleged alien visitations recorded in Sumerian cuneiform tablets should be interpreted as “plausible scenarios in our still evolving knowledge” (p.130). In short, Ward proposes to shift the burden of proof from the ancient astronaut theorists, who believe their interpretations of ancient texts, artefacts and sites are correct, to their detractors. But this argument is inherently nonsensical and ignores the dictum, popularised by Carl Sagan, that extraordinary claims require extraordinary evidence. And surely the claims about alien intervention in antiquity are out of the ordinary? Marrs, though, supports this reasoning, arguing that scholars should not write off “old stories as fables” but come to adopt the “new view of our past” which reveals the “underlying truth about our heritage” (p.111). The second tactic, and the one that is supposed to be the core argument of his book, is to suggest that various government bodies and other institutions, supposedly at the instigation of “elite factions” (p.49), have “worked to conceal our possible true heritage.” Throughout Our Occulted History, Marrs makes dismissive references to “standard science” (p.xiv), “traditional scientists” (p.7), “traditionalists”, “scientific arrogance” (p.34), “conventional thinking” (p.48), “conventional science” (pp.xiv, 28, 60), “conventional geologists” (p.78), “conventional academia” (p.104), “conventional textbooks” (p.137), “conventional history (pp.39, 166), “conventional anthropology” (p.40), “conventional explanations” (p.170) and “narrow-minded thinking and conditioning” (p.123). He also covers a number of specific cases where the powers-that-be have apparently tried to suppress knowledge of historical anomalies, such as the career-damaging harassment of some archaeologists who claim to have found 250,000-year old stone tools at the Hueyatlaco excavation site in Mexico (34-37) and 125,000-year old stone artefacts at Lake Huron (p.49). 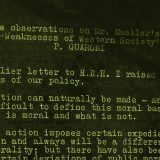 Marrs repeats claims the National Geographic Society (p.49) and various museums and institutes funded by the Rockefeller Foundation and other wealthy families (pp.49-52), including the Rothschilds (p.53-54), are all intimately involved in the suppression effort. Even the CIA is accused of somehow colluding in the alleged suppression of our true history (pp.56-58). Marrs also promotes at length the theory, advanced by David Hatcher Childress, that the Smithsonian Institute is deliberately concealing discoveries and information that might upset “conventional history” (p.39). According to Jason Colavito, however, it was Childress who actually invented the Smithsonian Institute conspiracy “out of half-truths, rumors, and lies” in 1993. Given that exposing elite suppression of evidence of ancient aliens is supposed to be the main objective of this book, it is surprising how little space Marrs actually devotes to the topic. Moreover, his examples are also problematic. The controversy over the Hueyatlaco excavation in Mexico, for example, might demonstrate how mainstream archaeology punishes those who go against the consensus or defy the “received view.” But the cause of the dispute, and one of only two cases cited by Marrs involving actual archaeologists, concerned the dating of stone tools (upsetting the consensus about when human habitation of the Americas began) not the discovery of any potentially alien artefacts. This is a moot point, however, given that none of the ancient alien theorists that Marrs cites as authorities have any qualifications in archaeology, and nearly all of them have conducted their research outside the university system as independent researchers. Moreover, Marrs appears to have been unable to identify any academic archaeologists who: (a) support the ancient alien theories; and (b) have suffered professionally as a result. There is also the curious case of Associate Professor Robert M. Schoch, who rates just one mention in Marrs book (p.72). But despite his eccentric theories on the age of Sphinx and other musings that go against the grain, and a publication record that has become distinctly unacademic with regular appearances in the popular publications Atlantis Rising and New Dawn, this geologist by training (he is not an archaeologist) has retained his position as Associate Professor of Natural Sciences & Mathematics at Boston University. If there was an effort to suppress such information and to deter and even punish mainstream archaeologists and other specialists from entertaining such views, Marrs does a very poor job of documenting this, let alone even venturing to explain why Professor Schoch remains in place. More perplexing is Marrs’ failure to present as a case study of this alleged suppression, the archaeological establishment’s campaign against Erich von Daniken. For some reason Marrs focuses on some of Sitchin’s critics (pp.136-138), even though the academic establishment’s response to Von Daniken makes a far more interesting and salutary tale. 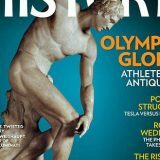 After all, in contrast to the modest opprobrium directed at Sitchin, von Daniken attracted a torrent of derision from archaeologists and historians of antiquity after the huge success of Chariots of the Gods? Professional archaeologists derided his work as relying upon evidence that was “abundant, unscientific, one-sided and perfidious” (Archaeology, January 1977, p.61); but they also complained of “being battered by Chariots” (American Anthropologist, June 1976, p.464) such was the popularity of his theories. A number of books were published with the specific purpose of refuting his books including: Ronald Story’s The Space Gods Revealed (1976) and Guardians of the Universe (1980); Clifford Wilson, Crash Go The Chariots (1972); B.W.Castle and B.B.Thiering, ed., Some Trust in Chariots!! (1972); and Peter White, The Past is Human (1974). No such effort was directed at Sitchin. The top sellers at campus bookstores have included such books as Chariots of the Gods, Gods from Outer Space…and others like them… The popularity of pseudoscience books at universities should be a source of concern to academic people particularly scientists….It is not pleasant to contemplate a situation in which our future leaders are steeped in fantasy and exposed to a putdown of science without effective response (Space Gods Revealed, pp.15-16). Breakthroughs in astronomy, archaeology, and Egyptology have only supported the theses of Erich von Daniken, Zecharia Sitchin, and Alan Alford, Michael Tellinger and many others…[M]any people today believe strongly that soon the revised Sumerian version of history will become a widespread and legitimate subject of study in seminaries, universities, and science centers (p.168). Somehow “traditional” academia is both suppressing and confirming the ancient alien thesis. No matter that Marrs fails to provide much evidence of either being true (in fact he cites just eight academic texts in his source notes, two of which debunk some of the claims Marrs appears to support). But the suppression story is really only secondary to his real aim of validating the ancient alien theory. This also highlights the biggest problem with Marrs book: it is not really clear why the “elite” need to suppress the alleged story of ancient aliens being responsible for the genesis of the human race. The principle problem is quite simply the ancient alien theory is already out there and has been for decades without upsetting the political order, contrary to the fears expressed in the Science editorial all those years ago. And despite the academic scorn there is little evidence of actual suppression: Von Daniken, Coppens, Sitchin, and many other authors, have been able to publish their books with impunity for decades. Indeed, ancient alien themed books remain easy to obtain (I have about 70 such books I have found at second-hand bookshops and at flea markets). And of course the History Channel’s Ancient Aliens television series, has had a six season run since its pilot episode in 2009. While the ancient alien theory has not secured the academic validation that Marrs and other theorists might like, it is popular and there is little evidence of an actual conspiracy to suppress it. If it suffers from credibility problem, that might be due the problems with the research techniques of the main ancient alien enthusiasts. Marrs, though, knows there is little hay to be made by acknowledging that possibility. Speculating on an elite conspiracy is both comforting and more entertaining than trying to explain why no ancient alien artefacts have been discovered. Reimagining the Egyptian Pyramids, Baalbek and other sites made from stone as the product of alien intervention is also easier than trying to explain why more tangible evidence of advanced alien technology has not been found. The consequence of this approach of slavishly and uncritically repeating the claims made by the ancient alien theorists, whilst at the same largely ignoring and casually dismissing the findings of “traditional” archaeology means that Marrs fails to deliver the even-handed examination of both sides of the issue as promised in the introduction. In its place the reader is presented with a litany of alleged historical anomalies, but with no attempt at a coherent chronology let alone a commitment to a single even slightly plausible alternative theory on humanity’s origins. The reader must wade through a series of vaguely connected and poorly sourced vignettes about the humanity’s origins, alleged alien artefacts on the Moon and Mars, alien DNA, the remains of giant humanoids, ancient model aircraft, and speculation about the true origins various ancients sites around the world where strange artefacts are alleged to have been found, as well as disjointed sections on Atlantis and Ancient Sumer. Evolutionary theory is discounted and disparaged at length as a plausible explanation for the emergence of human beings on Earth (pp.28-33); yet evolutionary theory suddenly becomes entirely plausible to explain the emergence of an intelligence non-human race on a planet with a 3600-year orbit (Nibiru) (p.12) that has not been proven to exist. [I]t’s all quite impossible. Where is the physical evidence to indicate the arrival of the Marduk astronauts on Earth? Or how about evidence of the 400,000-year occupation of our planet by these superior “people” from outer space? The region that they purportedly settled is one of the most intensively investigated archaeological areas in the world, yet not a shred of Nephilim midden or extraplanetary construction has yet been found (Archaeology, September/October 1988, p.62). But it is Michael Heiser, of the Paleobabble and Sitchin-is-Wrong website, who has a PhD in Hebrew and Semitic studies, has been Sitchin’s most persistent critic, though Sitchin made no attempt to counter his charges. Heiser’s criticisms have been picked up by the Ancient Aliens Debunked website and even by Jonathan Gray, a New Zealand researcher who arguably falls under the cult archaeology label (judging by his website), who explains his reasoning in his paper “Is This Really Sitchin Fiction?” Marrs does acknowledge some of this criticism, going so far as to confirm Heiser’s argument that the word “Anunnaki” does not appear in the Electronic Text Corpus of Sumerian Literature (ETCSL) published by the University of Oxford, is “technically…true”. But Marrs is reluctant to concede too much to Heiser and makes the curious argument that the term “Anuna gods”, which does appear in the ETCSL database, “could be collectivized into the plural term Anunnaki” (p.136). More troubling is Marr’s inabilty to deal with Heiser fairly, and he later resorts to slurs, quoting the unsubstantiated claims of an anonymous reviewer on an obscure website that “researchers” who worked with Heiser “are government funded” and were supposedly using the wrong database (p.203). Marrs makes a number of claims about the Roman ruins at Baalbek in Lebanon, focusing on the largest stones each weighing about 800 tons and forming part of the wall for the Temple of Jupiter. Quoting almost exclusively from non-specialist sources Marrs claims the “gigantic stone blocks under Baalbek far predate [the] Roman Heliopolis” and suggests the “primitive” Romans could not have possibly moved them (p.95). Marrs makes a dismissive reference to “conventional archaeologists” proposing the use of wooden rollers to move the stones, before giving considerable space to the theories of the Sitchin, Alford, and Matest Agrest (pp.96-97). From these luminaries we learn that Baalbek might have been constructed by beings with “super-human powers” and possibly served as an “antediluvian landing pad for the shuttle craft of ancient astronauts” (p.97). Marrs makes no effort to seriously criticise mainstream archaeology that has established the Roman origins of the site, the role of the trilithon as a retaining wall for the Temple, and the most likely methods used to move the stones. This work is summarised in a number of places on the internet, but Marrs just ignores it all. He also recycles the tale of the so-called Dropa Stones, though Marrs is strangely careful not to use that title. Instead Marrs talks about some strange graves with small humanoid skeletons allegedly discovered on the Sino-Tibetean border in 1938 by Chinese archaeologist Chi Pu Tei. With these graves were stone plates that were finally translated in 1962 by Professor Tsum Um Nui at the Peking Academy of Prehistoric Research, which told “an eerie story” about “beings” from Sirius who crashed on Earth. Marrs claims this story was dismissed because “it was not compatible with the Western worldview” (p.133). But Marrs ignores the recent work that has highlighted the failure to confirm the existence of Chi, Tsum or the Peking Academy or respond to claims the entire story was a hoax originally emanating from the then Soviet Union. Marrs is also coy about his sources, making reference to his earlier book Alien Agenda (p.33), which in turn referenced a now 42-year old von Daniken book Gods From Outer Space (1972), which cited only one source for this story, von Daniken’s “helpful friend” and “famous Soviet writer”, “Alexander Kassansev” (though this appears to be a misspelling of Kazantsev, a famous Russian science-fiction writer), who allegedly told von Daniken this tale in 1968. In any case, by repeating 46-year old information as though nothing had changed, Marrs does his readers a disservice. …at one time, long before our recorded history, there existed on Earth a global, highly technological civilization that fell into ruin due to natural catastrophe, war or both (p.124). This is hardly a decisive conclusion, but it is the only one to emerge from this litany of faulty evidence that permeates Parts I and II. Nevertheless, it is enough for Marrs to claim that if historians “have been misled concerning true history” then it is likely that “much of man’s entire worldview has been misguided” (p.204). And it is on this unconvincing and factually suspect foundation that Jim Marrs goes forth into Parts III and IV, where he seeks to link the ancient astronauts with the New World Order. Given that much of Jim Marrs corpus to date has a conspiracy focus, including at least four of his most recent books, one would expect that Parts III and IV would be much stronger than what has preceded. Alas, no. The same problems are apparent with a meandering contradictory, factually suspect narrative punctuated by distracting and confusing vignettes. Part III on the Middle Ages, for instance, has a number of diversions into alchemy, white powder gold, speculation that the invasion of Iraq was about stealing artefacts and “technology” (p.227), despite many of these supposedly alien artefacts apparently sitting in Iraqi museums without disturbing mainstream archaeology for decades; there is also talk of the Khazars, the “Black Nobility” and Venetian bankers. That is not say that Marrs has no argument. On the contrary there are a number of odd and controversial themes which are weaved into Part III that warrant closer scrutiny. What does unparalleled access mean? Is there a double-secret code that Dean Wormer gave Farrell that allowed him access to materials mere mortals were not permitted to see? Who says his access was unparalleled? Any fact-checking done on this? If there was, Marrs isn’t telling. Are we to presume (yes, we are) that having this unparalleled access means that the researcher in question therefore has superior interpretive powers, and was thus able to spot, and interpret this secret info, and incorporate the gained knowledge into his thesis? [T]he Khazars, or Ashkenazi Jews, as they came to call themselves, prospered and began to spread across Europe and then to America. These people were never connected to the Hebrews or Palestine, although they were originators of Zionism, a political movement that began in nineteenth century Russia for the purpose of securing a Jewish “homeland” in the Middle East (p.231). Marrs then casually observes that Koestler and his wife committed suicide in 1983, but then adds that “some conspiracy researchers” claim that they were assassinated by the Mossad for “having revealed too much true history” (p.232). But no evidence is given as to why this allegation should be treated with any credibility. Such a charge is serious, and potentially very damaging to his reputation, yet in his latest book Jim Marrs does little to suggest such charges are unjustified, despite his evasive turn of phrase. Marrs tells us that “Jewish or not, globalist financiers have emulated the Rothschilds for decades, using secrecy and bribery to help them conduct business.” He then quotes “Researcher” John Churchilly’s observation that “Khazar descendants secretly dominant every aspect of American life.” Marrs gives his endorsement: “Churchilly has voiced the concerns of many.” He then notes how “major globalists” are able “operate out of the public eye, with impunity” because of their dominance of communications, “especially Hollywood” (p.233). As evidence for this Marrs quotes at length from two articles, one from the Los Angeles Times and the other from the Times of Israel, which respectively claim that Jews do “control Hollywood” and “control the media” (pp.233-235). It would seem that for Jim Marrs, “globalist” actually means “Jew”. Lest he be accused of anti-Semitism, Marrs reassures us that “all Jewish Semites” and those “professing the religion of Judaism are not the problem”, but rather it is “adherents of Zionism”, in particular the dastardly Rothschild family who are at fault. He provides of litany of misdeeds allegedly committed by the Rothschilds, who are apparently share the gold obsession of their “Anunnaki ancestor Nimrod”. 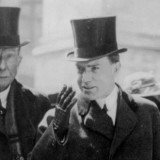 According to Marrs, the Rothschilds are responsible for financing a number of American robber barons including John D. Rockefeller (oil), Edward Harriman (railways) and Andrew Carnegie (steel); were closely involved in the drafting of the Balfour Declaration that led to the foundation of Israel; and he repeats unsubstantiated claims that “Afghanistan, Iraq, Sudan, Libya, Cuba, North Korea and Iran” were targeted for US-led military action after 9/11 because they were “free of Rothschild-dominated Western banks” (pp.237-238). After a strange vignette about “nonhuman genes” (pp.238-241), Marrs concludes Part III with a section on how Ventian bankers evolved into the sinister “Black Nobility”, and quotes liberally the unverified claims of the Illuminati News website that its key families are all of Khazar descent (pp.241-242). But this merely confirms that he is following the now classic formulation, employed by researchers like David Icke, of on the one hand ruling out a “Jewish” conspiracy, yet on the other, continue to assert that all the conspirators are Jews. It is an insincere tactic, one that sometimes leads to attacks from more overt anti-Semites, who accuse them of being pro-Zionist shills for the sin of not being anti-Semitic enough. Though, in reality, the ideological differences between Marrs and his detractors are as meaningful as those between warring factions of student Trotskyists. The Rothschild obsession and other anti-Semitic themes re-emerge in Part IV, “The Modern Era”, which Marrs kicks off with a by now obligatory quote from David Rockefeller’s Memoirs (2002) as an epigraph (p.245). 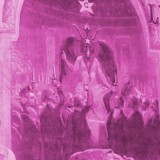 Marrs then asserts that it is the “foundational belief of the ruling elite that they were born to rule” which they apparently see as a “natural consequence of their bloodline, or their blue blood.” He suggests this elite belief can be traced back to the “tyranny of the Annunaki gods” and credits “conspiracy researchers” with uncovering the “thirteen to fifteen families”, who are “interconnected by blood” and are “causing the problems” (p.248). How these “thirteen families” fit in with the previous dominance of the Roman Empire and the Roman Catholic Church, and the myriad royal dynasties that controlled Europe for centuries is not explained. Instead Marrs just lists the usual suspects, including the Rothschilds, various Venetian banking families or so-called “Black Nobility”, adding for good measure the claim it was “possible” that Adolf Hitler had Jewish and possibly Rothschild ancestry (p.248). Marrs has, of course, no direct evidence that Hitler’s father, Alois was the product of an illicit liaison between his grandmother, Maria Ann Schicklgruber and Baron Salomon Rothschild – claims that both Nazi sympathisers and Nazi opponents have easily refuted (though their respective motives are quite different). Nevertheless Marrs manages to mislead by expanding the story beyond the original source, a wartime profile of Hitler by the US Office of Strategic Services (OSS), adding details from other sources, including Ralph Epperson’s claim it was “possible” Hitler had made contact with the Rothschilds. Marrs then suggests this story should not be dismissed as wartime propaganda because “the OSS never made this story public” (p.249). This is misleading, because the OSS report attributed the story of Hitler’s Rothschild grandfather to public sources: namely some books and an article by two Germans. Nevertheless, this story of Hitler’s Jewish ancestry has been rejected on a number of fronts, including in Ian Kershaw’s comprehensive biography of Hitler, suggesting Marrs should have taken more care before his own foray into this affair. Despite the uncertainty over the reliability of any part of this story, Marrs nevertheless persists, suggesting that if Hitler was of Rothschild descent, he might also be of the “royal Habsburg line” (p.249). 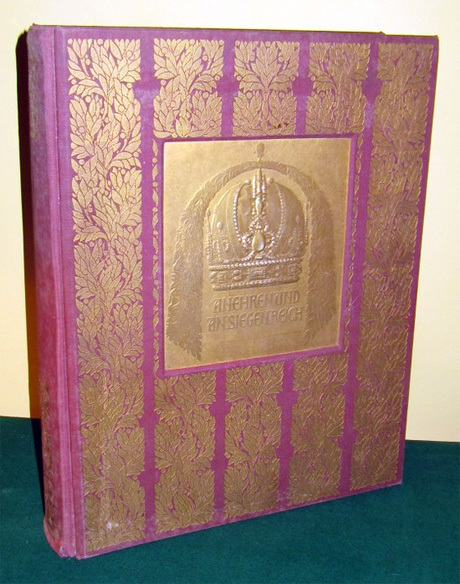 Marrs’ authority for this suggestion is the the “unique gold book” An Ehren Und An Siegen Reich, a hefty volume published by Emperor Franz Josef Habsburg of the Austria-Hungarian Empire in 1908, and edited by a Dr. Joseph Alexander Freiherr von Helfert. This book was an elaborate affair “bound in green leather with gold-tipped binding, engraved and embossed from plates of copper, steel, and zinc” (p.249). Moreover, it was a “handmade , one-of-a-kind book, and apparently no more than five copies were printed” (p.250; emphasis added). Hitler supposedly had a copy of this book, which apparently revealed that a key Habsburg ancestor, Emperor Frederick I Barbarossa had taken a Jewish wife during his ill-fated Crusade to the Middle East, who had a born him a son, Albrecht II. According to Marrs, the book indicates that both the Rothschilds and Habsburgs were descendants of Albrecht II and thus “shared a common Jewish ancestor” (p.251). In March 1999, the book disappeared. A business associate of Delittoso had borrowed it to use as collateral for a loan, and then the person who made the loan allowed a business partner to borrow the book. This fellow sold the book to another man for an undisclosed sum. This man, in turn, sold it to another person, whose name has never become known and the book was gone… (p.250). The “Unique Gold Book”: a copy of An Ehren Und An Siegen Reich (1908) recently for sale on EBay. Discerning readers should not be remotely satisfied with this explanation. Marrs notes that “apparently no more than five copies” were made. The caveat “apparently” concedes that Marrs did not check to see if this claim was actually true. And it is not. An internet search reveals at least four copies of the book have been put on sale in the past year alone with copies recently for sale on the German Booklovers site and on EBay, while Christies sold a 1910 edition in 2006. But even more copies are available at range of university and specialist libraries around the world. In the United States alone, according to WorldCat, twelve libraries have a copy of the volume. This includes the New York Public Library, the Stanford University Libraries, and most conveniently for Jim Marrs, who is a resident of Texas, the University of Texas even has a copy! The claims of Rothschild-Habsburg shared ancestry, if true, would be of significant historical interest, but one has little reason to have confidence in Marrs’ account because of his failure to track down the original source. On his website, introducing the excerpt from Our Occulted History, Marrs describes his account of the book as “essential reading to understanding how the Zionists could control Hitler and his Nazis as well as other monarchs.” Given that Marrs clearly thought the book was worth mentioning and had known about it since 1999, perhaps he could have taken the time to visit one of these libraries to inspect the book for himself and to see if Feder and Delittoso’s account was accurate. Of course if the German language was a problem, one could always employ a translator – there are plenty of German and Austrian exchange students in the US. Though his failure to even consider taking that step is unfortunately indicative of the poor quality of research in this book, with its frequent uncritical reliance on second-hand sources. The rest of Part IV, which is much longer the Part III, otherwise consists of more vignettes which Marrs valiantly tries to link together, but the result is the same as in the other chapters: more incoherence. There are sections on presidential blue bloods, the Korean War, the Exchange Stablisation Fund, police brutality, problems with food quality, population control, surveillance, and media bias, but none of it really fits together as neatly as Marrs would like. The bigger problem is his claim to have “demonstrated” this litany of woe is part of a grand plan by a “mere handful of bloodline-fixated individuals…to control the wealth and knowledge of the planet” (p.33). I would suggest it is problematic not necessarily because the very idea is heretical, but because this specific claim is not substantiated by Marrs. Marrs’ preferred range of evidence reflects a problem faced by most N.W.O. researchers: they are convinced there is a plot, a grand secret strategy, but there is no single reputable document or statement that will confirm its full scope. 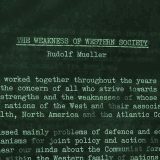 Back in the last decades of the Cold War, some researchers, particularly those aligned with the John Birch Society, were prepared to undertake the laborious task of piecing together evidence of elite intent by examining the writings and prouncements of politicians, officials, academics and select members of the plutocracy. Despite, in my opinion, some significant analytical flaws in their approach, their work at least had the semblance of plausibility. Marrs, however, seems to have taken the route that, although always present, has become more popular since the 1990s. And that approach is to cite documents and testimony of doubtful providence that conveniently sums up the entire alleged conspiracy. The late William Cooper, author of Behold A Pale Horse (1991), is probably to blame for this, with his use of the hoax “Silent Weapons for Quiet Wars” document, allegedly found on a second-hand computer and presented by him as “Illuminati” plan; and his rehabilitation of the fabricated Protocols of the Wise Men of Zion as another Illuminati document. Both documents later made an appearance in David Icke’s first conspiracy book, The Robots Rebellion (1994), with “Silent Weapons” mysteriously elevated by Icke into a “secret document” and the Protocols temporarily de-Zionised by being renamed as the “Illuminati Protocols”. This has inspired countless other researchers and enthusiasts to treat as credible other dubious documents and alleged testimonies that helpfully reveal the entire conspiracy. Despite his aforementined dabbling in anti-Semitism, Marrs does not refer to the Protocols, but he does refer to a number of other sources which he presents as “Voices of the Elite”, about half way into Part IV. But instead of patiently sifting through the documentary record – that is biographies and memoirs of politicians and senior officials, public statements, released and leaked documents, official and think-tank reports – to test his hypothesis, Marrs casually refers the reader to the supposed testimony of former Illuminati insiders: ‘Charles’, Svali, and Hidden Hand. Notwithstanding admitting that these self-proclaimed insiders “are of dubious character with few or no real credentials”, Marrs still treats them as reliable sources because their stories “support the accounts of various conspiracy researchers” and are “surprisingly consistent” (pp.279-280). There is no evidence that Marrs made any attempt to verify their lurid tales, however, he does quote the opinion of Exopolitics Institute founder Michael E. Salla that Hidden Hand’s was at least “genuine” (p.285), if for no reason other than confirming Salla’s own eccentric theories about human-exterrestrial interactions. That these three are more likely to be pranksters or fantasists seems obvious, but Marrs doggedly refuses to countenence such a view. For these reasons and more Our Occulted History is a deeply unsatisfactory book. Despite the confident assertions of his conclusion, Marrs fails to prove that a “wealthy elite” is suppressing the ancient alien theory, or even that there is much in the way of compelling evidence of ancient aliens that requires such a concerted efforts. It is also unclear why the “wealthy elite” would have any interest in doing so: as noted above, the ancient astronaut genie escaped the bottle decades ago and the political and social order has not collapsed. Moreover, and contary to the declare intent of the book, Our Occulted History makes no effort to trace the history of the emergence of ancient alien ideas or to explore how academia has responded to it. It also fails to establish how mainstream academia has got it wrong: because he barely covers what mainstream archaelogists and historians of antiquity have to say about ancient Egypt, Sumeria and pre-Columbian Americas. The book also does a very poor job linking the New World Order conspiracy to the entire ancient alien hypothesis. In short, this is a rather unwhelming effort from Mr Marrs who once did much better work identifying the connections at play. Previous story The Ruling Class-Sponsored Race War and the Balkanization of America Part Two: Is California Ground Zero? Jim Marrs, however, has not even acknowledged the existence of this article.